Ignore those bloody handprints, the neighborhood watch totally has the.. flu… outbreak under control. Nothing to worry about. 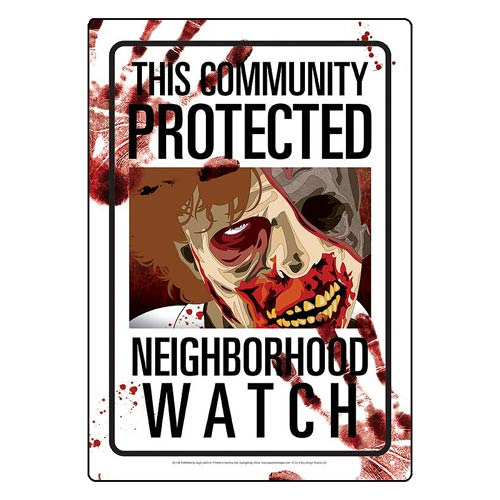 This Neighborhood Watch Zombie Tin Sign measures 8-inches x 11 1/2-inches. Ages 13 and up.